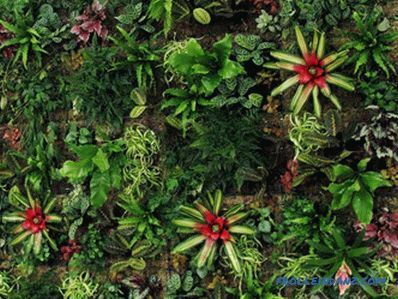 The real rescue of large cities, more than full of people and abundant in motor vehicles, which have already turned into megacities, today has become urban landscape design, or more simply, man-made vertical gardens. 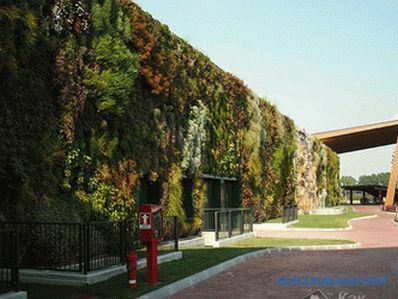 A beautiful flower bed, lawn or flower panel in the stone jungle is undoubtedly a great joy for both children and adults, because living plants as well as the water of city fountains, having a sparkle in the sun, not only contribute to improving mood, relieve stress, but also and perfectly purify the air. 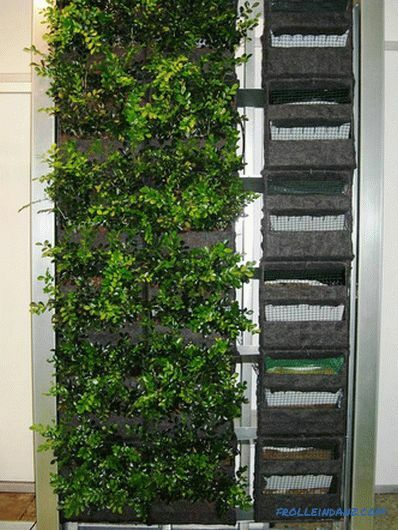 It is known that the most common problem of city streets is the lack of space, and the recently-established vertical gardens help to get out of the existing predicament, because they are easily created and dismantled, do not require special care, and fit into any architectural ensemble. 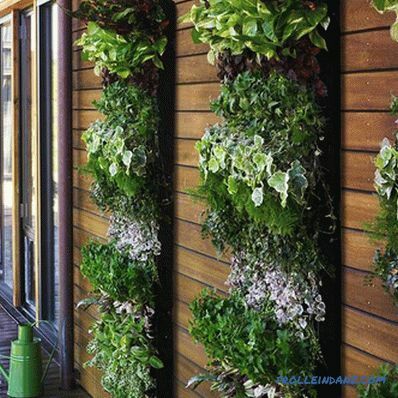 The vertical garden is a vertically positioned lawn (flowerbed). 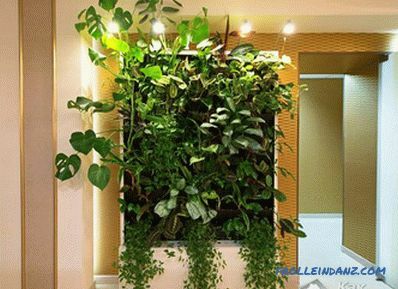 The vertical garden can be located in any room, on the facade of the building, or it can become a peculiar decoration of the columns. It can also be a variety of curly shapes. French botanist. 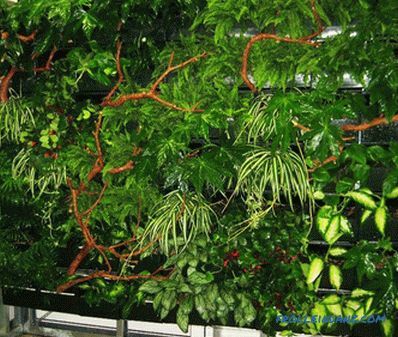 It was he who noticed that the plants of the tropical undergrowth are capable of growing practically without soil vertically, moreover, also with insufficient light. As a result of his reflections, Patrick Blank came to the conclusion that it may be quite enough for plants to provide a surface for the plants to fix the roots and the nutrient solution. Thus, there was an amazing opportunity for gardening any kind of planes. 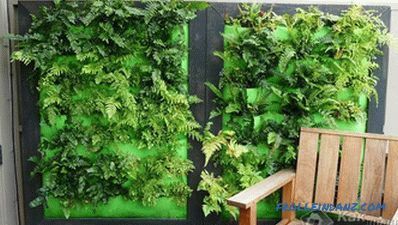 We offer you the most simple and affordable ideas on how to make a vertical garden. 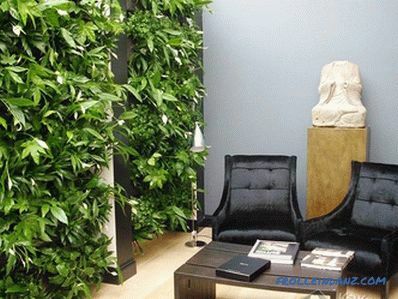 The most appropriate place to create a vertical garden is considered any free space on the wall, preferably located in a room without drafts and with uniform illumination. 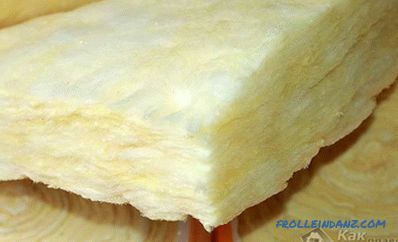 The simplest option is to perform waterproofing of the wall with any method, followed by lining the surface with a decorative stone, tile or plastic. 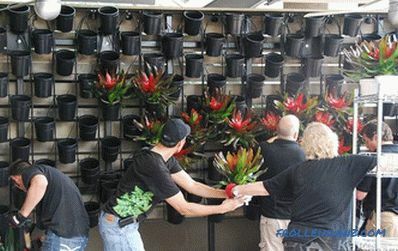 On a wall so adapted it is possible to hang small flower pots with plants in a checkerboard pattern. 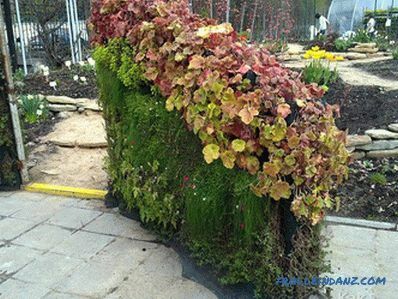 It is recommended to install a pan to collect water at the bottom of the wall decorated in the form of a vertical garden wall. 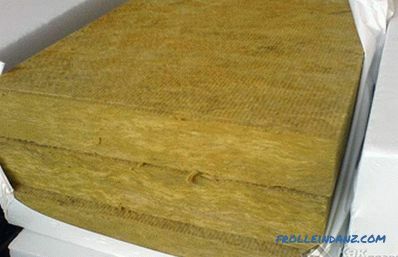 A more sophisticated version assumes that it is attached to the wall metal or wooden construction (lattice with cells). 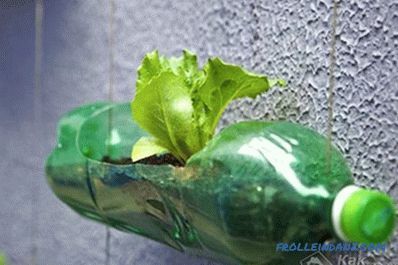 The dimensions of the cells should correspond exactly to the sizes of the flower plastic pots placed in it. 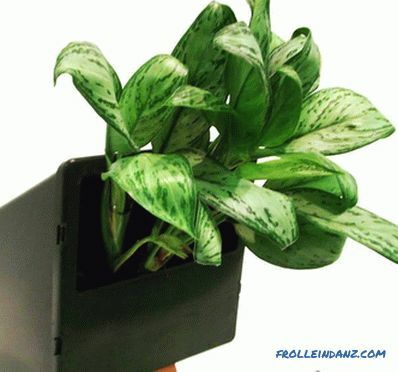 Each pot should have a hole in the bottom and be sure to have a bezel along its outer contour. 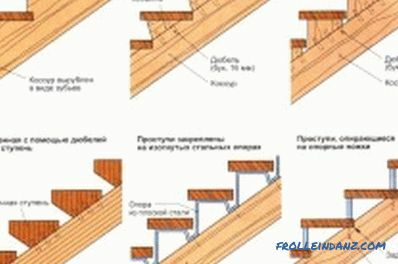 At the points of intersection of the rails of the structure there are special hooks (in a checkerboard pattern) on which loops of elastic cord are hung. 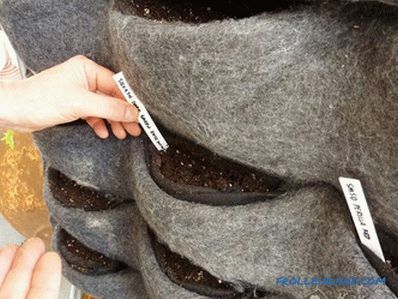 The main point in creating the structure of the future vertical garden is the production in each cell (in the center of the bottom rail) of the guide-holder for fixing the pot. 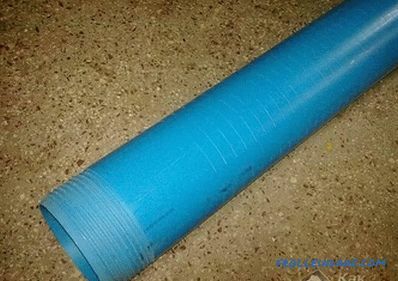 It is very important that the plastic flower pot, strung with a hole in the bottom on the manufactured holder and threaded into the eyelet, is located at an angle of about 48 ° relative to the floor. To collect the water should be placed at the bottom of the pan. Today, braces in pots made from a mixture of peat, palm fiber and special polymer are sold in abundance at any flower shop. 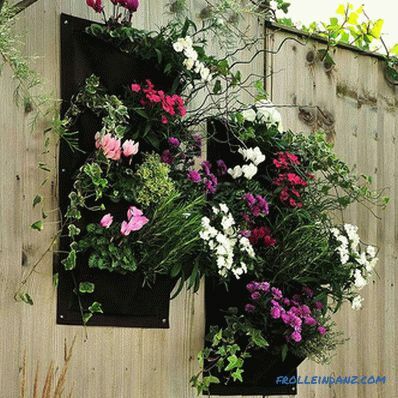 These pots are very convenient for creating a vertical garden in a wooden box or wall niche. 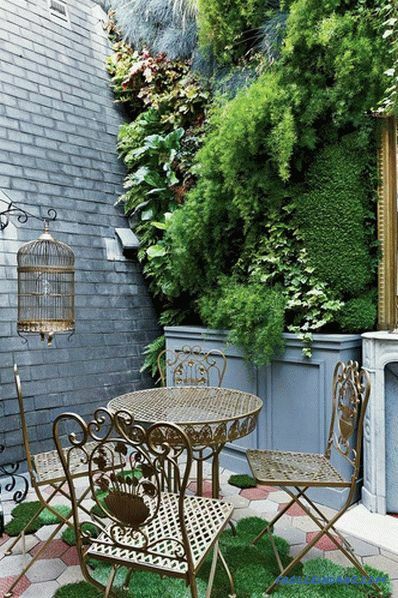 Plants in pots, braces, as a rule, are arranged by the method of brickwork. For such a garden a prerequisite is the presence of a drip irrigation system. 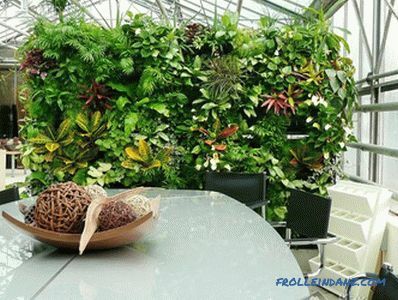 Creating such a garden composition is the correct selection of plants with similar conditions. 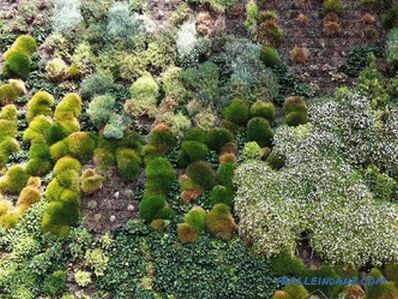 If the flowering lawn is located under the open sky, then preference should be given to mosses, alpine flowers and lichens, that is, plants adapted to temperature variations and various precipitations. 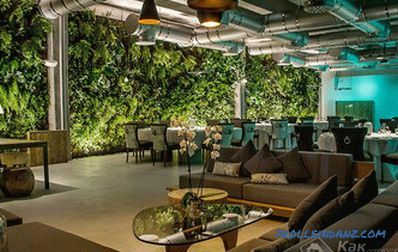 When creating a vertical garden, do not just choose the plants you like to create your composition, but make the selection of plants, taking into account the existing style of the interior, then harmony will be visible in everything. Even before creating a flower bed or a panel, be sure to determine the location of your masterpiece, the level of illumination of the selected location, the method of installation of the structure and its approximate weight. It is necessary to take into account all the nuances. 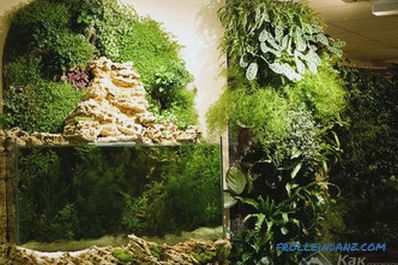 Creating your own vertical garden, as you can see, is a simple matter, although it is somewhat troublesome and painstaking. 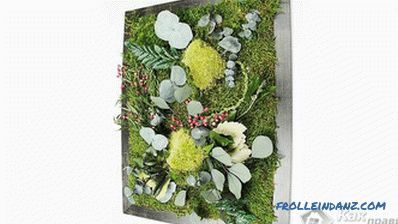 But at the end of the works you will be able for a long time to admire the natural beauty of the floral paintings created by your hands. Just keep in mind their regular watering. 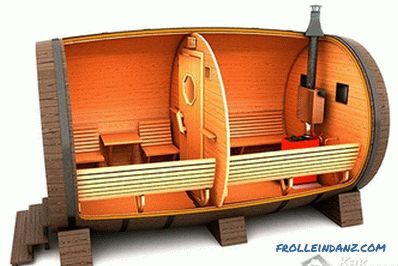 how to make a dog booth with your own hands.